A visual guide to Apple's new photo editing software for the iPad iPhoto for iPad is an exciting program that puts powerful photo editing capabilities right at your fingertips. Taking full advantage of the iPad's magnificent touchscreen, it allows you to manipulate and add to your photos, create photo journals on your iPad, and much more. 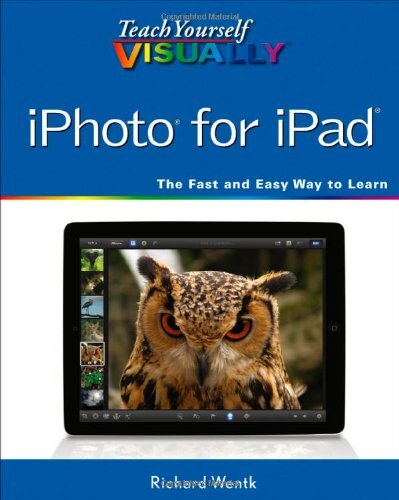 This visual guide makes it even easier to master all the possibilities of iPhoto for iPad. Learn to use the built-in, multi-touch editing tools, organize your photos by date and location, group similar images, and much more. * iPhoto for iPad is an exciting new program with a visually rich interface that takes full advantage of the iPad's touchscreen features * The software is perfectly suited to visual learners, and this guide gets you up and running quickly and easily * See how to use the multi-touch editing tools to enhance your photos, add special effects, organize your images by date and location, group similar photos, and more * More than a million copies of iPhoto for iPad were sold in the first 10 days Teach Yourself VISUALLY iPhoto for iPad will quickly have you taking advantage of everything this cool software can offer. Are you a visual learner? Do you prefer instructions that show you how to do something ? and skip the long-winded explanations? If so, then this book is for you. Open it up and you'll find clear, step-by-step screen shots that show you how to tackle more than 120 iPhoto tasks on iPad. Each task-based spread covers a single technique, sure to help you get up and running on iPhoto for your iPad in no time.